"Everybody seems to have that moment in their life when they realize enough is enough. For some, that moment can be as simple as realizing you’re out of breath after walking up the stairs or playing with your kids. For others it may be more scary, such as surviving a heart attack and realizing a change in lifestyle is needed immediately. For me personally, it’s a moment of my life that I will never forget. A group of my friends and I were lounging around in the common area of my dorm Freshman year of college. It was the Spring of 2009 and we had all received our room assignments for the next school year. Going around the room, each guy was saying where they had been assigned to live, and a few guys before me had the same dorm and floor as I did. When I chimed in that we were going to be floormates one of them said, “Hey! You can be the designated fat friend on the floor!” Everyone laughed and he quickly added, “I’m just kidding, Rob, next year is gonna be a lot of fun!” I laughed it off with everybody and pretended it was no big deal, yet even today I clearly remember that feeling of how deep that single sentence and the laughs hit me. I remember laying awake in bed that night promising myself I would never be laughed at again because of my weight. I woke up the next morning and began my new life. In the beginning, the changes I made were small. I walked a half-mile every other day and I started limiting myself to one Mountain Dew with each meal. Soon, I used these small changes to achieve bigger, broader goals. After a month I was able to run an entire mile without stopping, and after a few more months I was able to eliminate all sugary drinks from my diet. Eventually, all the little lifestyle changes I was making snowballed into an incredible weight loss of 72 pounds in 6 months. I was running 10 to 13 miles every day and even posted a personal best 6:02 mile time. I felt awesome! I returned to college my Sophomore year feeling confident that this new, skinny version of myself would be the new normal. I got a girlfriend, I studied hard, and for the remaining years I was in college I took care of myself. And then I graduated. Like a lot of people I got a desk job right out of college. Also like a lot of people, I was not prepared for the drastic change that sitting for 8+ hours a day would have on my body. Over time, my diet reverted back to junk food and my exercise regimen all but ended. In a few short years I had gained back all the weight I had lost and then some. I was so mad at myself for ruining all my hard work. At this point in my life I made so many excuses for myself that I didn’t know where to begin. I would start new diet and exercise routines, lose around 20-30 pounds, and then make excuses or give up and gain it all back. It was a vicious cycle. During these “lost years” I had always wanted to try CrossFit, but I always made the excuse that I would commit to getting in shape first before joining so that I wouldn’t embarrass myself at the gym. More time went by, nothing changed, and neither did my health and fitness. Then, after dating my girlfriend for many years, we got engaged. As fate would have it, she came across an ad for a CrossFit facility near my house. Since the wedding was less than a year away, I took the plunge and started at CrossFit Solaria. In the beginning, I had no idea what to expect. My original plan was to show up for a few months until my wedding and then move on. My only exposure to CrossFit had been what I had seen on ESPN during the ‘CrossFit Games’ so my perspective was very limited. 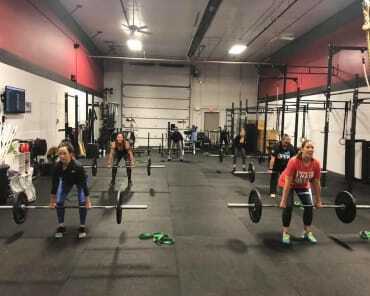 I walked in to my first class at CrossFit Solaria expecting everyone to be some shredded jock who lived at the gym, but to my surprise, there were people who spanned the fitness spectrum. Some who could breeze through the workouts to those who, like myself, couldn’t do a single pull-up. To start, I had to modify the workouts severely to match my abilities. Although I soon learned CrossFit isn’t about winning or losing, I remember finishing with the slowest time in my first workout. No one laughed. No one made snide comments. No one put me down. 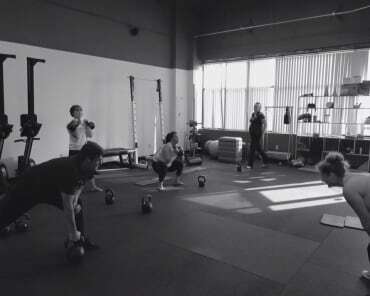 In fact, I was surprised at how welcoming these CrossFitters were to a new guy who was clearly struggling. Even gasping for air during first workout, people were actively encouraging me to “Keep up the good work!” and “Don’t give up!”. When I finished, sprawled out on the floor, everyone came over to give me a high-five or a fist-bump and gave more encouragement. After that first class, I knew I had found my gym. As the months at CrossFit Solaria went on, I got stronger, gained stamina, and improved my overall fitness. I am proud to say that I lost nearly 45 pounds and got into the best overall shape I had been in in years for my wedding day. Similarly, the people at my gym soon became my friends, and now, after nearly 3 years of being at CrossFit Solaria, these friends are my gym family. 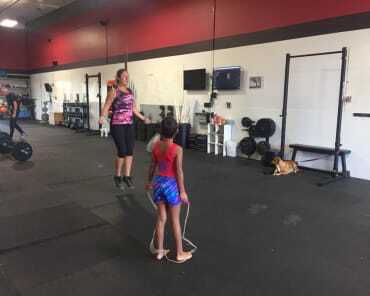 I know their stories and they know mine, and I can honestly say that the best part of my fitness journey with CrossFit Solaria has been the people that I have sweat with every day. In short, if you ever have that moment in your life when you realize enough is enough, or that you need to make positive changes in your lifestyle, or you just want a damn good gym with the best people and coaches to push you to be all you can be, then I hope you’ll join me and my gym family at CrossFit Solaria. Fair warning… If you give us a try, you might like it enough to stay a few years! See you at the gym!"